After class yesterday Teddy asked me an alignment question about the placement of the feet in Tadasana. I teach hip-width apart, his other teacher teaches big toes touching. Which is correct? My first answer is this (culled from writings of other great yoga teachers)…there are many different paths to get us to the ‘connection’ (of body, mind, spirit, heart) that is the promise of yoga. Different asana systems teach different alignment principles. Different world-views and rituals carpet the world of Yoga, yet all lead us to the same union. I personally have found that Anusara Yoga is a wonderful system for me and I am passionate about teaching its method and specific alignment principles. I also absolutely honor all other teachers’ paths and methods of teaching. I admit, I have been that student/teacher in the past who has thought that my path was superior. But as my path bends and curves, and I continue to grow and mature I understand that all of our paths are fated by our uniquely personal moment-to-moment experiences and choices. There is no hierarchy in this process. Judith Lasater has had profound influence on my journey as a yogi and teacher of asana. She states that as teachers we must have a clear understanding of our intentions of WHY we are teaching. So for a long time I have pondered, “What is my intention as a yoga teacher?” My intentions have always been good…to help people get healthier, to help people cultivate focus and concentration, to share the good news of yoga, to help people find their best self, to connect people to their breath, to remind everyone that our essence is absolute goodness, peace, joy, and love. Last weekend in Teacher Training we talked about “The Path of The Teacher” and how our teachings of yoga are an expression of our personal practices of yoga which are essentially an expression of the way we live. 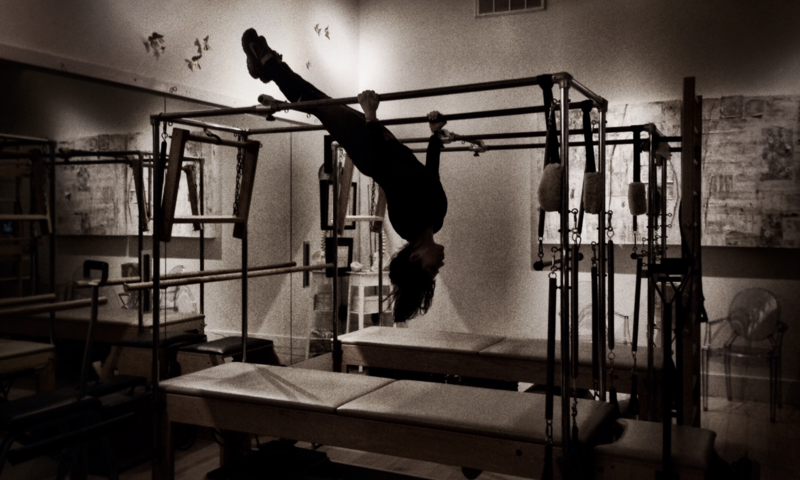 So maybe my intention has shifted over the years as my practice has evolved and I have grown older. Cut-to applying yoga practice and teaching to: life, family, work, errands, finances, etc…These past few weeks I feel continually faced with situations that either ‘rub’ or have had the makings for a reaction. It is my tendency to react rather than to simply absorb the moment, process it with breath, and then respond compassionately. That tendency has, of late, been thankfully quiet. Maybe it is because fiery reactionariness (new word!) takes too much energy and I am running low, or maybe it IS all of the sitting meditation, or maybe it is simply Divinity. Whatever it is I am so thankful. As a teacher I honor that yoga students will choose the asana path that resonates most with them. My feelings do not get hurt when a friend or student decides she likes another teacher’s style more than mine. Yoga teaching is an artistic expression of a distillation of all that we have sifted, studied, and practiced from the great ocean of yogic literature through the ages. Let us celebrate the many flavors of Hatha yoga! The world isn’t all Yoga teachers and students either, right? But I do think everyone is on a Path that is determined by our unique experiences and choices. And I think that we simply must honor every person’s path, whether we agree with their actions, or not. We certainly should not and do not have to ‘go along’ with everything a person on a different path is doing, but we must honor the freedom of all beings and celebrate with gratitude and responsibility that freedom in ourselves. 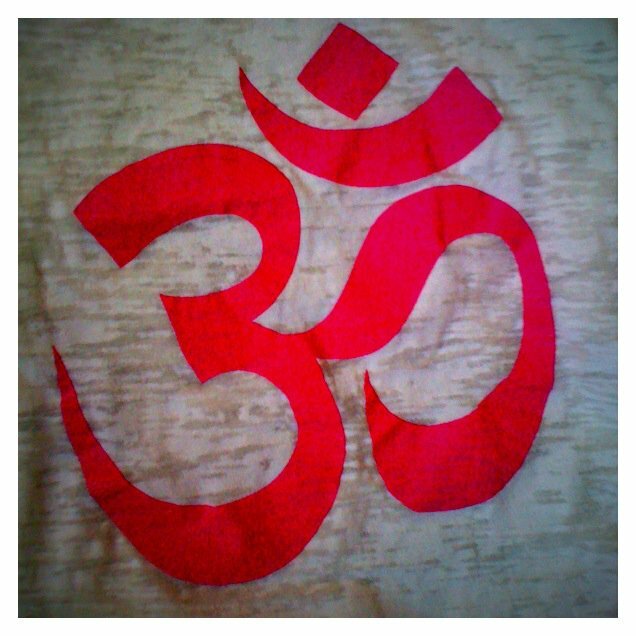 So my intention has simply become NAMASTE. I honor you. I may not agree with you, or accompany you, or promote your path, or practice your yoga, but I HONOR YOU—quietly, non-judgmentally, whole-heartedly. This is my intention. My teacher. My teaching. My practice. My path. Thank you Lord! My second answer is stand well and with dignity. Whatever that means to you. Namaste! I love the energy of the beginning of the academic school year. Even though I haven’t been in ‘school’ in ages, I still reminisce about the smell of a brand new Wonder Woman lunchbox and the awesomeness of freshly sharpened pencils. But mostly I like the excitement in the air. It is contagious and feels full of new possibility. This is a time of movement and change and progression. My husband teases me about my fetish of moving furniture around. But really, why not adhere to the energetic currents and change up a room every so often? This past week we re-vamped the design of the boutique and created a sweet little sitting area. It feels welcoming and comfortable and I foresee great conversations happening there. The studio has always felt like an extension of my home. It really is an expression of part of me. If you want to know me on a deeper level, and you think I seem ‘un-accessible’ (I have been called that and worse J ), next time you are in the studio, take a deeper look around at the details. And this is me! It is in my genetic code to entertain. Everyday at the studio feels like having guests at the house to practice yoga. I love keeping such great company at the little studio. Thanks for coming over so often! So if you haven’t been to Yoga Birds in a while, get on the ‘back to school train’ and re-organize your schedule and body to prepare for a whole new world of possibilities in the coming season. Namaste Peace Love Joy and WonderWoman! The purpose of the Global Mala Yoga for Peace is to unite the global yoga community from every continent to form a “mala around the earth” through collective practices based upon the auspicious cycle of 108 (mala beads) as the yoga world’s offering to further the UN International Peace Day which falls on Sept 21st 2010. Join Yoga Birds for an ‘open mat’ celebration Saturday Sept 18th for 108 minutes of sun salutes in a fun, festive community atmosphere. Refreshments on the patio to follow. All are welcome. Bring the kids! FREE. RAFFLE!! Come by for a chance to win a yoga mat, yoga bag AND a 3-month unlimited class package! The mindfulness meditation sessions at Yoga Birds this week have used sound and hearing as the primary objects of attention. It’s a simple yet profound technique of sustaining awareness on the soundscape around you. It is no surprise that most of us lose a connection with sounds of the present moment to the volume of inner-mind noise. Just awakening my awareness to the ‘sounds of silence’ …the hum of the fridge, the chirping crickets, the car passing outside my window…all bring me back to a presence of this seat, this moment, this breath. My usual whirling (or more like howling) mind ceases. I feel infinitely spacious and light. A unique, contented, restful quality descends upon me that is akin only to sitting meditation. I want to practice this state of awareness as much as possible so that I might learn to LIVE with this spaciousness all (or I would even settle for most) of the time. It is just so wonderful. Come sit with me! Be Impeccable with your word. = Truth. Don’t make assumptions. = Reality. Don’t take things personally. = Compassion. Always do your best. = Action. Truth (Satya). Reality (Tattva). Compassion (Karuna.). Action (Karma.). I think I have found my Mantra! Whoa. Life is BIG! OM! This week in my Anusara-Inspired® Yoga classes we are working on progressive sequences to Eka Pada Urdhva Dhanurasana. This is a full backbend with straight arms and one leg extended. It is a BIG pose with beautiful lines, one of my all-time favorites. Backbends are exhilarating. They bring lightness and vitality to the body/mind that ward off lethargy and depression tendencies. The physical emphasis is on opening the heart, lungs, and chest (not bending the back as deeply as possible, which is a common misconception about backbends). One of my other favorite backbends is the supported Bridge pose where the hips rest elevated on a yoga bolster. It is total Bliss and we do it all the time in my classes in Restorative Yoga or to cool down in a vigorous asana class. Someone commented yesterday that she can straighten her arms in reverse table top, but can’t find straight arms in the full backbend. She is a highly intelligent woman with a very strong and consistent practice. She understands yoga, but her current ‘block’ in the backbends does not surprise me. Backbends come with a certain amount of healthy fear-for you can’t see where you are going. Part of her resistance is instinctual caution—a wise and good quality that smart people have! Backbends require cultivating a trust in knowing ‘what’s got your back’. This is where the elements of consistent practice and engaging fully with your foundation come in to play. I joke about my journey into backbends—my work is in cultivating ‘healthy fear’ and more controlled skill. I was the kid who was just fine with the Nestea plunge, or diving backward into the water. I have had to work on being cautious and to not go so fast and deep into unknown or unseen territory (not just in backbends). Everybody can enjoy the benefit of these wondrous poses because their primary purpose is to bring balanced vitality to the front and back sides of the body. And the real measure of success of practicing these poses is not by how deeply one can get into the backbend, but how much easier sitting and standing and walking with a firm and upright back becomes. And we can all use a healthy dose of that! The format of the acting class was that we would choose something to ‘put up’ in front of the group (anywhere from 20-50 folks on a given night). It could be a monologue, a scene or a song performance. After each performance, first the teacher and then all of us in the audience gave constructive feedback. It was so intense! The class met on Wednesdays at 6pm and would run late into the night sometimes til 2 or 3 am until everybody who was prepared had a chance to perform. The thing is, is that no one left. Everyone stayed until the end. Everybody supported each other by observing whether they went first or last. The nights were magical. The energy in the room was amazing. The performances were some of the best outward exhibits of self-realization and artistic expression I have ever witnessed. And my own performances in that room are some of the most incredible heartbeats and moments I have had in my life. 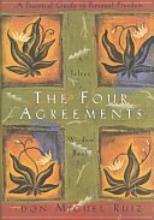 The thing is, by keeping the Four Agreements, it raised the bar on the whole experience for actor and spectator. Being impeccable with words meant we had to know our performance material inside and out. For anyone who has had experience acting, learning the lines and words of the script (or song) is the first step. This requires the foundational work of memorization. Never making assumptions meant that as we expressed the emotional content of the material to the audience by our actions and words we could not assume that because the script dictated sadness then the audience would know that. We had to skillfully convey this through words and actions and our unique artistic expression of communication. Not taking things personally meant we had to be ready and open for the feedback. The feedback was meant only to help us improve our ‘chops’ or to praise us for outstanding work. Of course if we were giving feedback we had to be impeccable with our words—it was all interrelated. And finally, we had to always do our best if we were to put something up before the group. If we hadn’t prepared sufficiently we were not to waste the precious time of our peers and that feedback was really hard to take. The stakes were high. Everybody in the room were aspiring actors and performers in Los Angeles going out on auditions daily. It is one of the most intense job markets in the world, if not THE most. But there was never any question that we all wanted each other to succeed—not just in the actor’s studio, but also out there on the street and on the screen! In that acting class, The Four Agreements opened doors to my consciousness and my courageousness, and my soverignity-of-self like nothing I had ever experienced. It also opened up my eyes to how other people perceive my actions and words. I remember my teacher in that class saying he made the book required reading because he could not waste precious life in the midst of gossipy or complaining folk who made assumptions or were constantly taking his words personally or who were satisfied with mediocrity. I miss him and I love him still for holding the space for those life-altering nights! In the years since, I give credit to that book for getting me one of the coolest jobs I’ve ever had (because I recommended it to the hiring person), getting me through a hard break-up, helping me through family relationship challenges, and more. I have read the book more times than I can remember. I have given away probably 20 copies of the book in the last 10 years. I continue to read the book in times of confusion and hardship because it illuminates a skillful method of participating with what arises. And I am reading it again this week. Because in the blink of an eye I find myself challenged by dis-agreements and I need for it all to get back to agreeable. This wisdom will get me there and I am so thankful for Mr. Ruiz’ impeccable words to help me through challenging times once again. I agree to do my best with my words, to not make assumptions, or take things personally. Please join me! Yesterday the Teacher Training group spent the last 40 minutes leading each other through Sun Salutations. It is the third time we have broken into small groups to practice teach. For some this is new territory, for others a familiar place, although a bit out of their comfort zone, as they apply new insights and teaching techniques to their current methods. I posted a photo album entitled “Seeing Each Other” on my facebook page of the transformational hour. Already there is a positive evolution of the state of affairs of yoga teachers in Lower Alabama. Please join me in an uplifting Hallelujah! Yoga Birds Teacher Training mission is to offer a course for serious students and aspiring professional teachers of yoga to deepen their knowledge in the areas of yoga history, philosophy, asana and pranayama technique, meditation, ethics, teaching methodology, and the business of yoga. Yoga Birds teaching style is a synthesis of the teachings of BKS Iyengar, Pattabhi Jois, TKV Desikachar, Judith Lasater, John Friend, Donna Farhi, and Leslie Kaminoff. Graduates of the program will gain new insights of Self through heightened studentship, find their unique voices as teachers, and have sufficient training and practice to impart a safe, student-oriented, appropriate, practical, skillful yet artfully sequenced, beneficial, and inspiring Western-style asana- yoga class. Ultimately in service to the improvement of health and well-being of the citizens of Lower Alabama. For the skilled yoga teacher, this kind of observation of a person / yoga student means looking through eyes of compassion and ultimately reading the energy moment by moment from beginning to end of what is first and foremost SAFE, then appropriate, practical, skillfully/artfully sequenced and inspiring. And making that observation of EVERY class participant. This is no small task! This kind of skillful observation of the the yoga student requires, an uninterrupted, full application of embodying your intention as a teacher, razor focused attention to details of the bodies and attitudinal qualities of your students, and a sustained connection to your mindful flow of skillful breath and language ( that would be intention, attention, and mindful breath which are by no coincidence, the hallmarks of a skillful asana yoga practice). Hence the importance of teachers to maintain a substantial yoga practice. That is the topic for a different post. Back to the TT…what is becoming very clear to everyone in the training is that skillfully practicing asana and skillfully teaching asana are two completely different arenas. My method of teaching yoga teachers seeks to break the teacher’s habit of (or warding of the tendency to start) needing to do the asana practice alongside the students so as to know ‘what to say (or do) next”. If a teacher is doing the practice alongside the students he is not able to SEE his students. I think what I see happening in the group is that they are discovering how much easier the ‘right’ words come if they just address what they are SEEING instead of relying on a script of how they ‘think’ the situation should flow. What is amazing to watch is that once the trainees begin observing and SEEING while simultaneously teaching, they tap into a wellspring of infinite cueing details. And in the same manner that our asana practices ‘train’ us for skillfully living off the mat, I believe this first Yoga Teacher Training is helping us all SEE each other, our loved ones, and all our brothers and sisters outside of the yoga studio with a new skill… freshly awakened eyes of compassion. I am just high on life as I think about what an amazing, dedicated, enthusiastic, open, and courageous group I have the honor of teaching! JAI! YES! RIGHT ON!